* Wash vegetables and fruits well before eating. * Verify of the expiry date when buying canned drinks and foods. * Keep away from all kind of uncovered food, since it is exposed to insects and pollution directly. * Wash your hands before and after preparing food. * Wash your hands before and after eating. * Cooked food should be eaten immediately after cooking, and, when needed, it could be kept in the fridge. * Avoid storing cooked food for long when moving from on Hajj site to another. This is one of the major triggers of food poisoning during Hajj. * Remember that storing cooked food for more than two hours in the room temperature may lead to the growing of bacteria causing food poisoning. * Drink enough liquids (juices, water, etc.) regularly. * Avoid direct exposure to the sun for long time, and use an umbrella when you feel necessary. Light coloured umbrellas are recommended. * Avoid making excessive effort, and keep to take sufficient sleep after performing Hajj rituals, so as to restore your energy. * Loose, light coloured cloths are highly recommended. Don’t use heavy cloths. *Tawaaf (circumambulation of the Holy Kaaba), especially at midday times. * Saaee (walking between hills of Safa and Marwa), especially in cases of high temperature and crowding. * Arafat at midday time. * Mina (places of slaughtering the animals and stoning the devil), due to the long distance and congestion. – Cooling the body temperature by using cold water. – Taking enough rest and sleep. – Taking antipyretics and painkillers when you found necessary. – Heading for the nearest medical camps and health centers in severe cases. 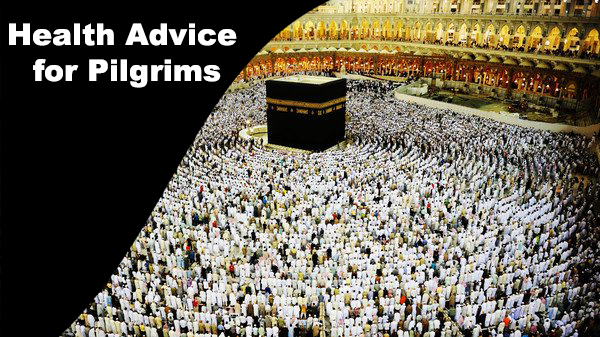 * Consult your doctor before setting out for pilgrimage Hajj, to assess your health situation. * Take with you sufficient and necessary medications, and keep them properly. * Take all medicines on time. * Adhere to the doctor’s instructions, such as following a certain diet. * Put on the wrist strap (or the information card given to you by your group leader), which shows your name, age, the kind of treatment, address and contact information. * You’d better tell your fellow pilgrims about your disease and proper medications, so that they can help you when necessity is. * Head for the nearest health center and medical camps when necessary. Umrah is a sacred journey to Makkah and not mandatory in Islam religion but Umrah is very important in the life of Muslims. With aim to provide the pilgrims with the best and complete Umrah services, we now offer our customers reasonable and cheap Umrah Packages from UK. So you don’t miss a chance and visit us to get the deals.